9.Is the fact that we use Certified Environmental Practitioners (CEnvP) important to you? What is the CEnvP Scheme? Click here to find out more. 11.Do you have any general comments about our overall performance? 13.Can you tell us more about how you heard about us? E.g. who contacted you or referred you to us, where was the ad, what project did you hear about us in relation to? 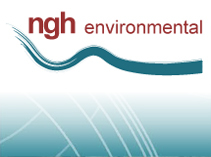 14.This form may be provided by nghenvironmental with project and client details to other clients for use as a reference. I do not want my survey response to be used as a reference.